America*s Best Inn and Suites Fort Lauderdale North offers the most value for your money when staying for business- pleasure- or just passing through. We offer clean spacious rooms- a guest laundry facility- an outdoor pool- and free Wi-Fi throughout the property. Enjoy a free continental breakfast each morning. All guest rooms include microwave- mini-fridge- hairdryer- satellite TV- free local calls- and wake-up service. Take advantage of our extremely comfortable beds and relax while saving money year-round with our Kids Stay Free Policy *12 and under in parent*s room*. For your convenience our hotel offers both smoking and non-smoking rooms. Sorry- pets are not allowed. We are centrally located off I-95- Exit 31. We are near to local attractions such as Fort Lauderdale Beaches- Florida Atlantic University- and Museum of Art Fort Lauderdale. 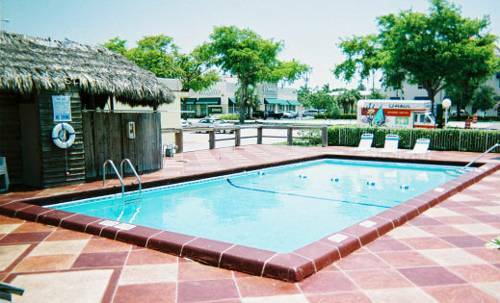 America*s Best Inn and Suites Fort Lauderdale North is your best choice within *The Venice of America* and one of the nation*s largest tourist destinations. We offer ideal accommodations and location whether you are in town for vacation- business- or simply passing through on your way to Jacksonville or Key West. At America*s Best Inn and Suites Fort Lauderdale North our goal is to provide our guests a great experience- not just a place to stay. At America*s Best Inn and Suites Fort Lauderdale North- Expect More. Get More. America*s Best Inn and Suites Fort Lauderdale North is located off I-95- Exit 31 and is nearby local attractions such as Fort Lauderdale Beaches- Florida Atlantic University- and Museum of Art Fort Lauderdale. Our address is 2935 North Federal Highway- Fort Lauderdale- FL 33306. ~25 miles from Fort Lauderdale. ~46 miles from Fort Lauderdale. ~59 miles from Fort Lauderdale.